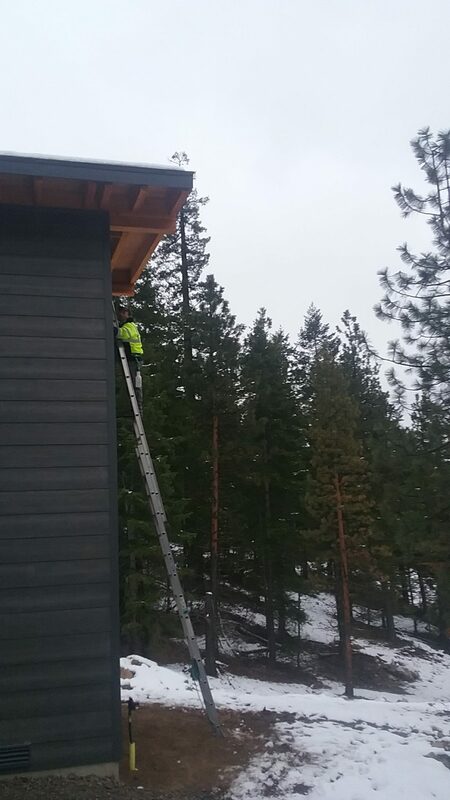 Ros-Elum Services offers professional window cleaning for your home or business. 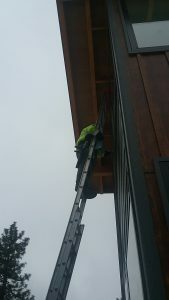 We also offer a variety of high maintenance work that goes along with having window services done. These services include battery and high battery replacement, high dusting, high light bulb replacement and Christmas light hanging. Benefit #1: Boost the curb appeal of your home or business. When your windows aren’t clean, your curb appeal is, well, less appealing. Whether you are trying to sell your home, show off your home to your neighbors or attract new customers you’ll want to get your windows professionally cleaned – it is a simple part of home or business maintenance that will make your home look well kept. Benefit #2: Protect your windows. Dirt and debris on windows can actually cause irreversible damage. Overtime, the dirt and dust can actually etch into the glass and cause scratches. Eventually, this can cause distortion that will make your windows difficult to see out of. 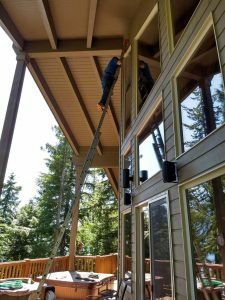 This is why you want to hire a professional window washing company like Ros-Elum Services. Our professional technicians will usually use high-powered tools and specially formulated cleaners to wash windows. In order to protect your windows, it is important to get them professionally washed every few months, especially if you have tall or expansive windows. Benefit #3:Improve the quality of your home or business. Clean windows will also improve the look and feel of your home’s or business’ interior, which will make you or your customers feel good too. When you have guests, you want to make sure your windows are easy to look out of. If you have a tremendous view, you don’t want dirt to get in the way of being able to enjoy the world outside. Moreover, it can make your home or business feel unkempt if your windows haven’t been cleaned in a long time. Benefit #4: It’s safer than washing them yourself. 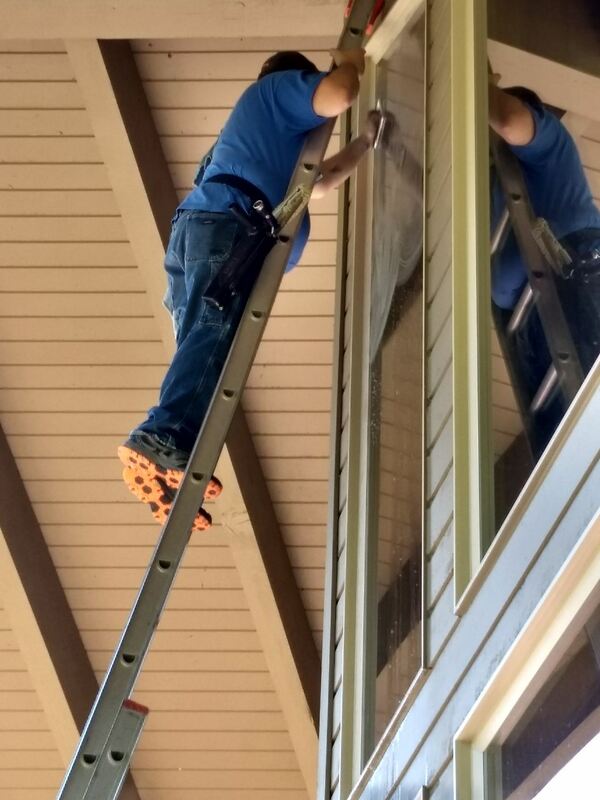 When you clean your own windows, you often have to use a ladder to reach higher spaces. This can present the risk of a falling injury. You can also increase the risk of broken windows. Plus, you have to think about protecting yourself from chemicals. When you get your windows professionally cleaned, you won’t have to worry about these risks to your health and safety. Benefit #5: More effective than DIY window washing. Another big benefit of getting your windows professionally washed is that your windows will be cleaner and clearer. Professional window washers use unique tools to make sure that your windows are cleaned without leaving smudges or streaks behind. There is a good chance that when you clean you always leave streaks, which can be difficult to remove and it can defeat the purpose of washing your windows. When you hire the professionals at Ros-Elum Services, you’ll get that streak-free shine and your windows will look beautiful.